Bernd Bösel is a philosopher and scholar with the Austrian Academy of Sciences, who has explored the idea of enthusiasm in the history of ideas, in his book Philosophie und Enthusiasmus. I met Bernd for an enthusiastic caffeine-fueled conversation to find out why philosophers are so anti-enthusiasm. Was the experience of ecstasy marginalized and pathologized during the Enlightenment? What forms does enthusiasm take today? How did you become interested in enthusiasm? I was missing in philosophy elaborate references to ecstasy and enthusiasm and to positive emotions and high feeling states. It seemed to me that phenomenology and existentialism were more concerned with negative states, like fear, anxiety, angst and nausea. Kierkegaard, for example, spoke a little about passion and enthusiasm, but he insists that real philosophical inspiration comes from being distressed and in despair, from those moments when you feel separated from society and everything worldly. When you’re that depressed, you only have one chance left, which is the leap of faith – a sort of enthusiastic state. But he never really talks about the ecstatic joy of union with God. No, because then you’d be expecting or hoping for that joy, which would be inauthentic. He’s more interested in the absence than the presence of God, like a lot of continental philosophers. How about Heidegger – isn’t there a more positive sense of the possibility of unity with Being in his philosophy? He also says you have to be melancholic to be philosophical. I criticized him for this in my writing, because it’s not even consistent with his more general remarks on what he calls “basic moods”. It’s rather a repetition of the traditional linkage between deep thinking and feeling despondent. But there are some other more enthusiastic voices in modern philosophy, even within existentialism. 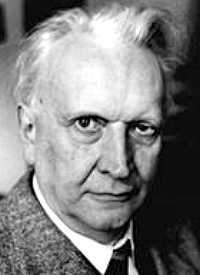 Karl Jaspers, for example, has a chapter on the enthusiastic attitude in his Psychology of World-Views. That’s a very influential book. So modern philosophy is on the whole silent, or negative, on the idea of enthusiasm. But you can find more positive references to enthusiasm in ancient philosophy? Yes. It’s there in Plato and indirectly also in Aristotle. In Plato’s Ion, he discusses the inspiration of rhapsodists. Socrates mocks rhapsodists [poets] for not knowing what they’re doing, for being lost in enthusiasm, which Socrates compares unfavourably to episteme, knowledge, and techne, or technique, both of which can be consciously taught and learned. Then in Phaedrus Plato discusses enthusiasmos at length. 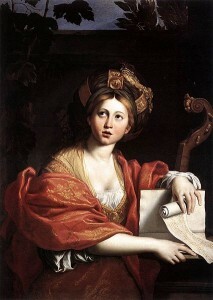 The word comes from entheos, meaning ‘the god within’. 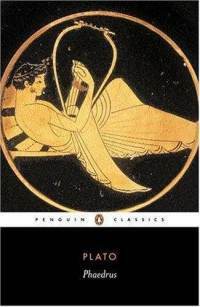 In that dialogue, Socrates suggests there are four types of enthusiasm or ‘holy madness’ – from Apollo, prophecy; from Dionysus, the mystic rites; from the Muses, poetry and science; and from Eros and Aphrodite, the madness of love. In that dialogue, Socrates goes into a sort of enthusiasm himself, and delivers this visionary speech in which he defends the experience, but he says that afterwards you need to get sober. So Plato doesn’t talk about the idea of enthusiasm in politics? Not in that dialogue, although Aristotle and his students thought about it. Aristotelians positioned enthusiasm within the theory of the humours, connecting it to melancholy, as the flipside of melancholy. It is all a matter of black bile, basically. Melancholics have an excess of it. But it the black bile is in the right condition – not too warm, not too cold – then they get into creative states that enable them to do extraordinary things. One of Aristotle’s students, probably Theophrastus, famously asks in the book Problemata why so many great philosophers, artists, poets and politicians are melancholics – so there’s an idea that great statesmen are also melancholic-enthusiastic. So the ancients had some positive conceptions of enthusiasm. What about in the Dark Ages and the Middle Ages? There are very few positive references to ecstatic states in medieval medical theories. The connection between melancholy and enthusiasm is lost, and for a long time, a whole millenium basically, melancholy is just a problem, especially for Christian monks who are looking for God but often ended up with depression. But perhaps it survived in popular religion? Think of St Francis, preaching to the birds or stripping his clothes off in the marketplace. Roman Catholicism had a great problem with the idea of enthusiasm – it’s the suggestion you can make direct contact with God, unmediated by the Church. Yes. 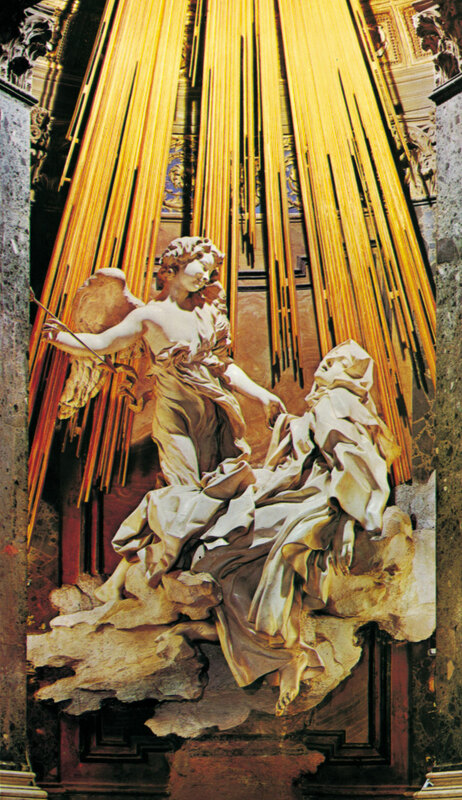 And when ecstatic figures and movements arise, it goes one of two ways – either the Church canonizes them, or burns them. There are some scholars who have explored witchcraft in the late Middle Ages, and have suggested they knew how to achieve ecstatic states with hallucinogenic drugs, which are sometimes called entheogens, or ‘that which connects to the God within’. And then there are also various mystical traditions in the Middle Ages, like Meister Eckhart and the Beguines, which I haven’t really explored. OK, and then the Renaissance rediscovers ecstasy in a positive sense. Yes. Marsilio Ficino rediscovers Plato, and tries to build a synthesis of Plato and Aristotle’s conceptions of enthusiasm. He’s really decisive in the concept of the melancholy genius, which was very influential in Renaissance art, for figures like Michelangelo and Durer, and then again in Romanticism. You start to get the idea of the god-like artist, who doesn’t obey the same rules as us, whose errant behaviour might actually be proof of their divine genius. That’s interesting. Charismatic or crazy behaviour becomes a way of claiming creative authority, in aesthetics as in politics. The Renaissance idea of enthusiasm went on until Giordano Bruno, who wrote a great book on the heroic passions. 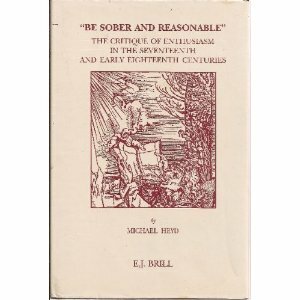 Michael Heyd’s ‘Be Sober and Reasonable: The Critique of Enthusiasm in the 17th and early 18th Centuries’. And then, as the historian Michael Heyd has explored, there starts to be a backlash against the idea of enthusiasm in the Reformation. Martin Luther and his followers criticize enthusiastic Protestant sects like the Anabaptists, who claim a direct prophetic connection to the Holy Spirit. Yes. Luther calls them “Schwärmer”, which means buzzing enthusiasts, like a swarm of bees. So the Protestant critique of enthusiasm was that these ecstatic movements like the Anabaptists – who claimed a direct connection to the Holy Spirit – were either mad, faking it for political reasons, or they were possessed by the Devil. The orthodox position in Protestantism becomes the idea that the Holy Spirit doesn’t ‘do’ miraculous gifts like prophecy or healing or speaking in tongues anymore, because now we have the Bible so we don’t need such gifts. The doctrine was known as ‘cessationism‘, as in the Holy Spirit has ceased to give humanity the miraculous gifts that St Paul discusses in Corinthians. Right. Then in the 17th and 18th century, what happens is the theological critique of enthusiasm gradually becomes replaced by a medical critique of enthusiasm. The idea of enthusiasm becomes incorporated into the medical pathology of melancholy. Then Enlightenment thinkers could say ‘enthusiasm is not an experience of the supernatural, it’s perfectly natural, we can define what these people are suffering from, and we can cure it’. So that becomes a way for the Enlightenment to contain enthusiasm, which was seen to be an important project after the bloody religious wars of the 16th and 17th centuries. Religious enthusiasm would be replaced by polite commerce. What were the cures for enthusiasm? One cure was to stop reading so much! Another was to use distraction. Another was the tonic of human company and sociability. And another was critical thinking – Adam Smith wrote that ‘Science is the great antidote to the poison of enthusiasm and superstition.’ Although there’s also an interesting critique of the new science of empiricism as itself a manifestation of enthusiasm. Do you agree with JGA Pocock that enthusiasm was the ‘anti-self’ of the Enlightenment? I’m not sure it’s that black-and-white. The Encylopedists were very into high feeling states, like happiness. La Mettrie, in Man and Machine, talks about how the power of thinking is great because it makes you enthusiastic. So you’ve looked particularly at the work of Shaftesbury as an Enlightenment defender of enthusiasm. Yes, Shaftesbury tries to rehabilitate enthusiasm. He says that you have to be critical of ecstatic French prophets, meaning the Camisards, who stirred up English society in the 1700s. Groups like this one were the reason why John Locke criticized the enthusiasm of sects in the 4th edition of his Essay Concerning Human Understanding. 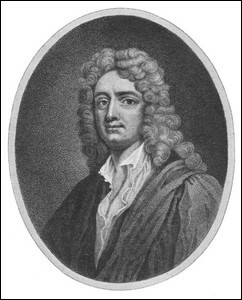 Shaftesbury was a pupil of Locke’s, but he’s not convinced that enthusiasm is a bad thing. He makes a distinction between ‘noble and vulgar enthusiasm’. That’s interesting, because in some ways it’s a class distinction. Often the critique of enthusiasm and ecstasy is that it’s an outbreak of popular emotionalism among the unlettered, but sometimes the upper classes try to categorise some forms of ecstasy as more learned or polite. Right, but it’s more than that. Shaftesbury is arguing that enthusiasm is basically a good thing, and he tries to promote it for the good of humanity. He suggests you only get high wit and high cognitive abilities in this feeling state – he’s clear about the connection between thinking and feeling. He suggests there is a faculty in every person to expand their feeling of love, from the love of self to the love of the whole of mankind. In which of his works is this? His main work on enthusiasm is a ‘philosophical rhapsody’ called The Moralists. There are three characters in it – a skeptic, a melancholic, and an enthusiast. The melancholic is depressed, and the skeptic tries to cheer him up by telling him about an enthusiast he met recently. The enthusiast lives in the countryside, but he’s very social, and often meets his friends – Shaftesbury is trying to counter the Enlightenment idea that enthusiasm is anti-social and divisive. The enthusiast has a strong therapeutic ability, and he realizes that the skeptic is also suffering from melancholy. So he takes him for a walk, cares for him, befriends him, points out the magnificence of the cosmos. His enthusiasm helps him understand others’ emotional states, and how to best intervene to help them. It’s really a theory of intervention. We should sketch out some more of the landscape of enthusiasm. For one thing, we should mention the idea of enthusiastic politics in Rousseau and then in Tom Paine. So in the second half of the 18th century, enthusiasm becomes more and more a political term; the former religious connotations are secularized and used to directly address political and social problems and also to promote revolutionary solutions. Tom Paine says enthusiasm is an important emotion for political change. Helvetius also discusses the idea of how to create enthusiasm in the people by an appropriate education. Then in the 19th century, after the period of Restoration, popular enthusiasm starts to become part of theories of the psychology of crowds, mob frenzies. That’s interesting. And I suppose then people start thinking about creating outlets for popular enthusiasm, so they can safely ‘let off steam’ without causing revolutions. Sport, for example. I’m thinking of the work of Norbert Elias on sport as an outlet for all the passions that threaten the order of civilisation. And we should also mention, of course, Romanticism and its defence of enthusiasm and ecstatic states. Yes, there’s Nietzsche, of course, and his idea of the Dionysiac. 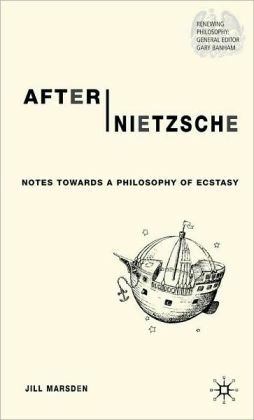 Jill Marsden recently wrote a book called After Nietzsche: Notes Towards A Philosophy of Ecstasy. I really like Nietzsche as a philosopher of psychology. Holderlin is also a very important thinker on ecstasy and enthusiasm, and a big influence on Heidegger. Of course, the idea of political enthusiasm in Romanticism is controversial because of its use and misuse in Nazism – enthusiasm is never entirely apolitical. And then, today, one thing that strikes me is how the idea of enthusiasm and ecstasy has been not just secularized, but it’s even become part of the capitalist or corporate sphere. People these days talk a lot about finding your ‘passion’ in the workplace, or your ‘vocation’ – this religious idea of hearing an inner voice telling you what job to do. Yes. The most challenging thing about modern ecstasy is that it’s been co-opted by capitalism and integrated into the system. And it works there very well. People talk about the entrepreneurial self and their ability to invoke enthusiasm in others. Which reminds me a bit of Tony Robbins and that sort of corporate ecstasy in his motivational seminars. Or Steve Ballmer going mental at the Microsoft annual conference (shown below). It’s a bastardisation of the Pentecostal ecstasy in Acts – you go to a meeting, get all fired up and filled with ecstasy, then go out and spread the word, or, in this case, make the sale. Yes. I’ve been thinking recently about cultures of enthusiasm. There’s corporate ecstasy, political ecstasy, religious ecstasy, artistic ecstasy…and there’s also perhaps the ecstasy of nerds and hackers. Yes, how interesting. One of the definitions of a nerd or a geek is they’re not ashamed of their passion and enthusiasm for, say, science fiction, or technology. Exactly. And I think social and cultural sciences would do well to explore this hacker enthusiasm more thoroughly, because that’s actually where the big changes in history are coming from right now. 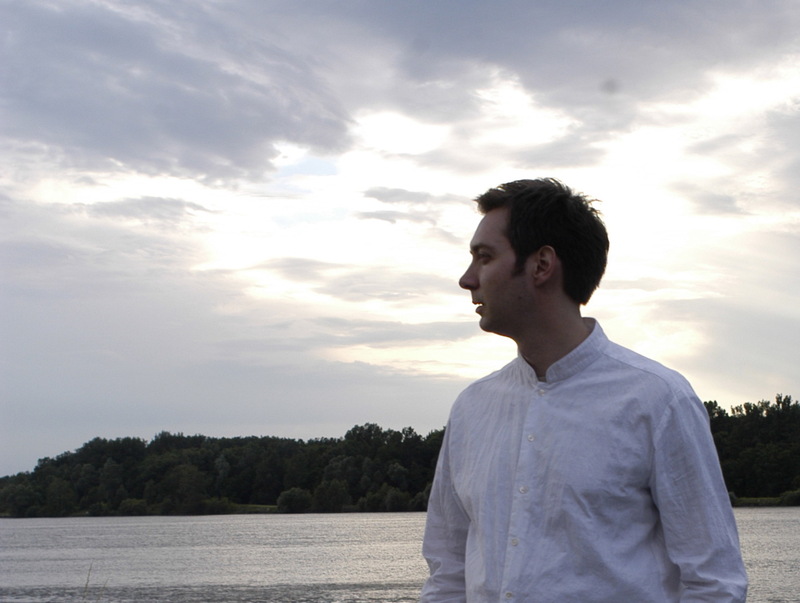 Bernd is working on a project called ‘The Art of Producing Emotions. Philosophy as Critical Psychotechnology’. This entry was posted in Interviews, Philosophies of Emotion and tagged Enthusiasm by Jules Evans. Bookmark the permalink. Very interesting indeed. I’m especially interested in Shaftesbury’s distinction between ‘noble and vulgar enthusiasm’.